BitArtist.org: Cheap wireless solution for AVR/MCU projects. Cheap wireless solution for AVR/MCU projects. 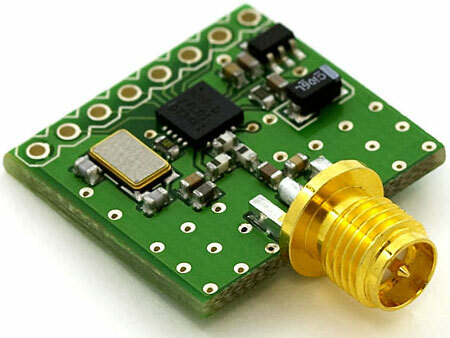 The nRF24L01+ is a 2.4GHZ RF Transceiver produced by NORDIC semiconductor, it is a very small , powerful and low-power solution for your home project. I am studying how to interface with my AVR MCUs. Luckily, I found out someone has a driver written for AVR, it is well-documented and easy to follow. Check out the link here: http://www.tinkerer.eu/AVRLib/nRF24L01. Basically, you need to have a SPI interface, so most of the AVR MCUs have! so How far can it goes? Sparkfun did a test, around 360feet LOS. Blimpbot controlled by Android G1 wirelessly.